Despite your organisation’s best-laid plans, a significant negative event can strike when you least expect. The nature of the threat is constantly mutating and evolving, meaning your business has to be prepared for not just cyber-attacks, viruses or program failure – but also insider threats, identity management risks, DDoS attacks and GDPR compliancy issues. The perpetrators are no longer just ‘lone wolf’ hackers in their basements, but organised criminals and nation states, with immense power and resources behind them. A failure to prepare adequately, or to respond appropriately, can be catastrophic for your business, leading to data loss, downtime, damage to your IT infrastructure, potential legal ramifications and tremendous financial loss. In 2016 cybercrime was responsible for a $450 billion cost to the global economy, while 25% of large UK business experienced breaches at least once a month. Can you afford to be part of that statistic? In many organisations Risk Teams, with minimal technical knowledge, are separate from the IT department, and they fail to keep up with shifting technologies and update policies accordingly. For example the Internet of Things presents new challenges that are often overlooked – have you accounted for every device in your company? How many of them are using outdated, unpatched versions of software? Many organisations make the mistake of assuming simply having the latest firewall is sufficient to secure your entire network, when all it takes is a faulty Intrusion Detection System to leave your firewall riddled with holes. Fortunately in the ongoing war with cybercrime not all is lost. You can take steps to better protect your business, but you cannot let your guard down. Security should be part of every conversation, instilled into every program from Day One. Because the threat is constantly evolving, you must accept security is more than just a ticked box – it’s asymmetrical combat and an ongoing series of activities. Critical data has to be effectively backed up; employee training is a must; a flexible, nimble security policy implemented; you need to know ‘who has access to what’ throughout your systems and apps; and a strong IT team must be in place. 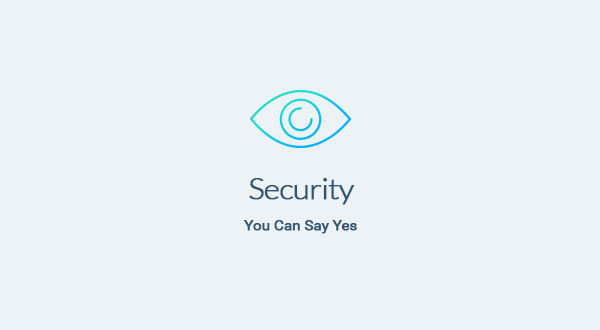 Security isn’t about saying “no”, it’s about trust; trusting your staff, trusting your suppliers, and trusting that your systems are solid – but also, crucially, earning the trust from your customers that you are doing the best you can do with their money, information, and assets. Enterprise Blueprints believe holistic solutions and culture change offer the best protection for your organisation, you need to think differently about security. Enterprise Blueprints will provide a roadmap, processes and procedures, and review and “stress test” your existing policies. Every Enterprise Blueprints consultant is both a technician and a businessman. They know how to build an up-front culture change in your approach to security, but also how to cut costs and streamline bureaucracy. Enterprise Blueprints will pave the way so policies reflect the differing attack vectors, turning IT from a bottleneck to an enabler. Early security input in every process saves time, ensuring smooth and speedy implementation. Over the long term to keep you on top of strategy. Enterprise Blueprints has grown through trusted relationships, these relationships matter to us. We value trust highly and when it comes to your security that is of vital importance. Not only for building trust between us, it is important because we can actively demonstrate how to build trust throughout your entire organisation.